We are excited to announce the next generation of wearable lighting. Say hello to VynEL™, a specialized space age light that integrates into just about anything. VynEL™ can be heat bonded directly to fabrics, textiles, sporting goods, space travel, outdoor goods, safety gear and much, much more. VynEL™ is similar to EL Tape, but far more flexible, heat resistant, waterproof, and more. 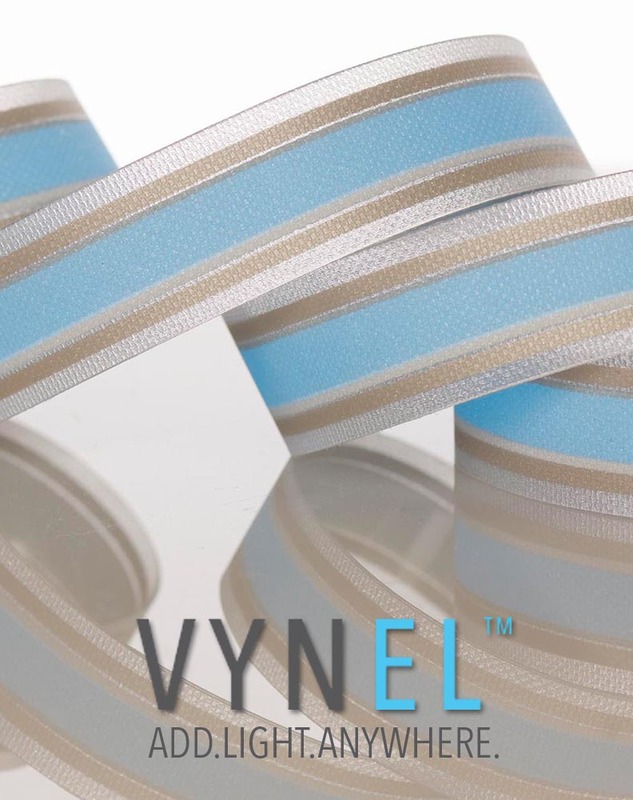 VynEL™ can be customized to be applied in numerous products and provides a safety element to practically anything it touches.